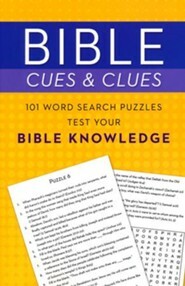 Bible Cues & Clues: Bible Knowledge has 101 word search puzzles that put a reader's Bible knowledge to the test. 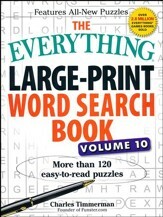 This word search game with a twist features Bible clues given in the form of trivia; then, you figure out the correct answers to create your own word-search list. 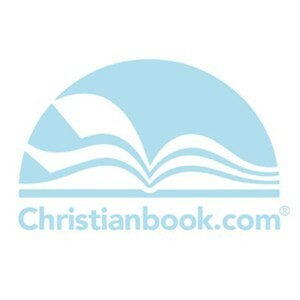 Helpful Scripture hints are provided. 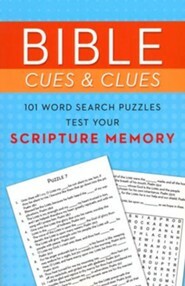 Bible Cues & Clues: Scripture Memory has 101 word search puzzles that put a reader's memory of Scripture to the test. 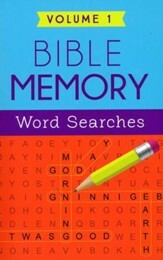 This word search game with a twist features Bible clues given in the form of scripture selections with missing words; then, you fill in the correct word to create your own word-search list. 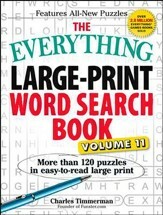 Helpful Scripture references are provided. 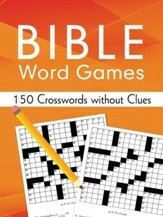 I'm the author/artist and I want to review Bible Cues & Clues 2 Pack.